With the rise in the number of cryptocurrencies every day, our exposure to the coins is also increasing. It is not uncommon to see a lot of beginner crypto investors invest in over 30 coins at a given time. When I started investing in cryptos, my goal was to be a long-term HODLer. I discovered many great projects which gave promising results but were soon out of the market. In short, I missed booking profits, and as there was no diversification and balancing of my portfolio, I ended up losing a lot of money. Does it sound like your story? Or do you also have a lot of crypto investments and want to be more disciplined? Well, the solution is diversification and rebalancing. In today’s post, I’m going to talk about rebalancing which I have been testing for a while, and I can confidently say that it is a concept used by the wolves to manage risk and increase the portfolio as market swings. Alright, so I assume you know a bit about portfolio rebalancing, and now you are ready to become more discipline and grow your investment with proper risk management. Whatever strategy you choose, defines how much time and effort it would require from you. For example, a long-term holding portfolio will not require a lot of intervention from you until something major happens, like an exponential rise in a coin’s value in a short time. The next major thing is to select the rebalancing cycle. In the crypto world, you can have a rebalancing cycle as short as a couple of hours to a few weeks or months. In my case, I’m testing with 12 hours auto-rebalancing, and it worked out great. However, You need to pick your auto-rebalancing time as per your needs. 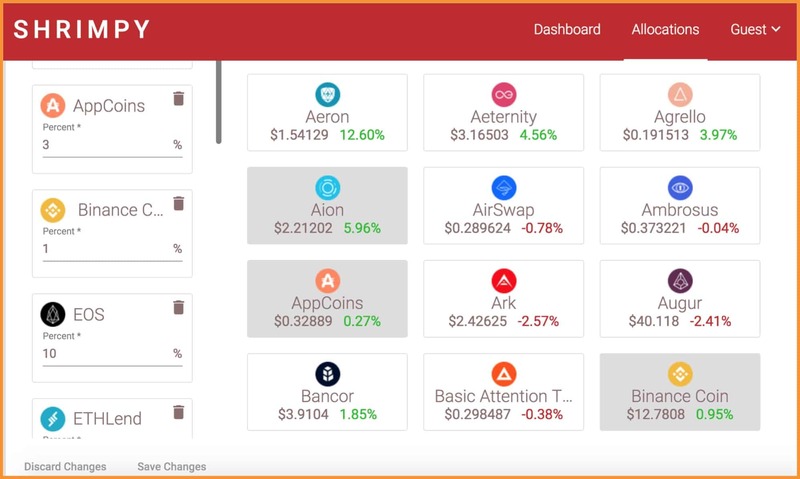 Now, its time to look at the tools that will help you auto balance your cryptocurrency portfolio. I have used 3Commas for a while, but it was only recently that I found out about its rebalancing feature. In fact, this feature is hidden and a lot of users wouldn’t even realize until they take advantage of the portfolio feature. When you create a new portfolio or copy a winning portfolio of someone else, you can apply the rebalancing feature. You can decide how often you want to rebalance your portfolio. In my case, I selected 12 hours. Now, after every 12 hours, 3commas automatically rebalances my account and buys/sells coins based on my defined portfolio diversification. 3Commas offers $10 as a joining balance which is good enough to help you get started. Once you have seen the result of portfolio building and rebalancing feature, you can grab any of its subscriptions. Just to let you know, I invested 0.2 BTC initially in testing, and within one week I earned 0.02 BTC extra making it total 0.22 BTC. 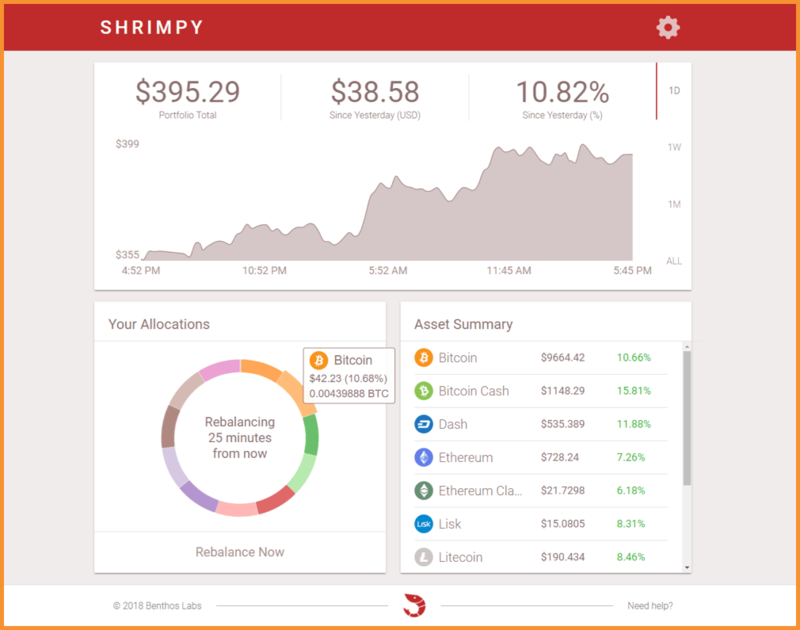 I discovered Shrimpy from their medium post about portfolio diversification and rebalancing. In fact, their case study on portfolio rebalancing was so persuasive, I ended up testing it, and the results turned out better than expected. What you will like about Shrimpy is, it’s a completely free tool. You also have an option to rebalance manually or disable auto-rebalancing. 3Commas and Shrimpy can do the job for you if your account is on an exchange which is supported by them. CryptoTactics: An interesting tool to compare the results when you HODL or rebalance automatically. Well, I’m optimistic that with time we will have more crypto rebalancing tools. For now, you should pick one according to your requirements. I would suggest 3commas as it offers features that will help you make more money from crypto trading. However, Shrimpy as a free option is indeed great, and if rebalancing is your only requirement, you better use this. I have not yet field tested this tool, but it looks promising as you can see from the screenshot above. You can also use their demo feature to see how it works. If you keep your coins in a hardware wallet, you can use one of the portfolio rebalancing excel sheet and manually balance your portfolio.